These days, everybody wants to check a travel advisory or warning before they start planning to trip. The World has gotten smaller and its easier than ever to travel around it. Surprisingly, destinations that were once considered very safe, such as France and Germany have been targeted by terrorists. As such, there are no safe countries or dangerous countries to travel to. More that ever before, relying on your “common sense” is vital! Many travelers forget to pack that common sense with them before leaving on a vacation. This can be a dangerous mistake! Following please find our updated Honduras Travel Advisory for 2019 that we hope will help you decide and plan your trip to Honduras. As the leading Honduras destination travel guide and blog, we are well fit to write about travel in Honduras. After all, we live here! We have been here for over 25 years! If you want an honest Honduras travel advisory, rely on someone who is on the ground and up to date, not on someone in an office in a foreign country! Our most important Honduras travel advisory 2019 is to read through the reviews that current travelers are writing about their experience in Honduras. If you are expecting to read about crime and danger you will be disappointed. Travelers that do venture out to Honduras find a lovely country with friendly people. Check out the travel blogs about adventurous bloggers coming this way. Bloggers usually travel alone, and you would be surprised at how many of them are solo women traveling through the world. You will be surprised at how safe they felt in Honduras! Fantastic destinations include the best diving in Central America and the Caribbean. The Bay Islands of Utila, Roatan and Guanaja are world famous for their diving and snorkeling. Imagine diving with the docile whale sharks in Utila. Or diving the walls in Guanaja or Roatan! You will find their reefs are the most bio-diverse in the World! Ok, maybe this is not important to you if you are not a diver. Yet you will love the fact that Honduras has done a better job than other countries and is keeping its reefs healthy! If you have never tried diving, you should at least snorkel one of the close by reefs to discover this magnificent underwater world! Honduras Travel Advice for Nature Lovers. As for our Honduras Travel Advisory for 2019 regarding nature, you will be surprised! Did you know that one quarter of Honduras’ territory is under protected status? This means that a chunk bigger than El Salvador, or two thirds the size of Costa Rica is part of the Honduras National Park system! Yes Honduras has the most extensive National Park system in Central America! 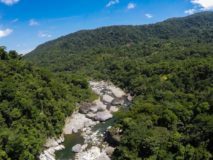 This includes the World Heritage Site we call the Rio Platano Biosphere Reserve. Incidentally, the Lost City of the Monkey Good was recently found by a National Geographic Society expedition. Imagine finding a lost city in the twenty-first Century! If you are into birding, hiking, canoeing or other sort of nature activity be prepared for a mayor shock! Honduras is nature´s Garden of Eden! Yes, we are not exaggerating, this authentic Honduras Travel Advisory 2019 is for those travelers that are seriously into nature! The Cangrejal River is Honduras’ nature and adventure hub. If you are into adventure activities, such as white water rafting, canyoneering or zip lining, this is one destination you can not afford to miss! Nestled between the Nombre de Dios National Park and Pico Bonito National Park, the area offers unparalleled hiking alternatives. This is one of the birding hot spots in Honduras, and you will certainly be able to check a few extra birds on your list. Best of all, there are many different lodges nearby where you can stay to enjoy the area! Nearby, sites like Cayos Cochinos and Cuero y Salado offer great alternatives for explorers and adventurers. This area is one the must visit destinations in our Honduras Travel Advisory 2019 list! Another great place that our Honduras Travel Advisory recommends you include in your trip is the Lake Yojoaarea. This lovely lake, the largest natural lake in Honduras is a great nature hub. With two different national parks around it, if offers a variety of nature activities to enjoy. Hiking trails, bird-watching, kayaking, sailing and visiting coffee plantations are some of the alternatives here. 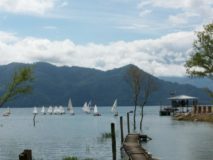 There are several different hotels around the lake. At least one of them will fit your budget and needs. But perhaps you are more into cultural tourism. If so, please heed our Honduras Travel Advisory for 2019 recommendations! 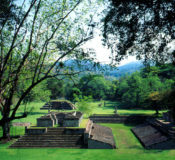 The Mayan Archaeological Site at Copan Ruinas is the most studied Mayan site in the World. Expert Archaeologists and Anthropologists from reputable universities have spent countless years here. This includes the University of Tulane, Harvard University and the University of Pennsylvania, just to name a few. Scholars refer to Copan as the Paris of the Maya World. This is due to its sophisticated and delicate high relief sculptures. The site includes a charming colonial town where you will have a chance to interact with the local population. Get ready to make friends here! Hondurans are one friendly bunch of people! They will go out of their way to help you and make you happy during your visit here! View from Celaque National Park. Photo Courtesy of Visit Gracias. You probably know that Honduras is the most mountainous country in Central America. This provides for incredibly scenic routes through rural Honduras. 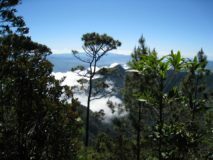 A perfect example is the Lenca Trail, that follows the highlands of Western Honduras. If you are into coffee, you will love this area. Honduras is the fifth World producer of coffee! It produces high quality, mountain grown coffee. Many of the coffee estates throughout Honduras offer the opportunity to visit their coffee plantations. Our Honduras Travel Advisory for 2019 recommends that you plan on visiting one of them along your route. As a coffee lover, you will love to see the coffee production process. Heck, you will love this! San Pedro Sula is the fastest growing non-capital city in Central America! Maybe even be the fastest in Latin America! This city offers the best US franchise hotels within its premises. This includes, Intercontinental, Hyatt, Hilton and Crown Plaza among others. Add the outstanding gastronomy and night life in the city and you will want to spend at least a couple of nights here! The good news is that San Pedro Sula is the best gateway into Honduras, with the busiest airport in the country! 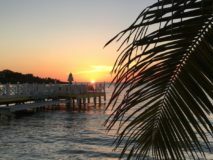 Its great highway system makes it easy to visit great attractions that are only one hour away. Our Honduras Travel Advisory 2019 says that you should not be afraid to visit this city! Use your common sense and you will be fine! Tegucigalpa and Southern Hondurasare more off the beaten path. However, they are well worth your time if you have the proper time to explore. We appreciate any comments to our Honduras Travel Advisory for 2019 and hope that you enjoy your trip through Honduras. Remember to pack your common sense when traveling anywhere in the World. You will find that it is very useful and will keep you away from trouble! Happy Travels!